Do you want to eliminate the hassle of renting trailers? Holland TMS is looking for quality carriers to pull our trailers for key customers in the Charlotte, NC and Statesville, NC areas. We pay excellent rates! Are you frustrated with Brokers who seem to disappear after hours? We know that in trucking, there’s no such thing as “off hours.” Holland TMS is at work for you around the clock- 24 hours a day, 7 days a week. Quick Pay – Once you are approved for this program, Holland TMS will pay your settlement in full (minus a 4% service charge) within five (5) business days after receipt of the original bills. Advances – Once you are approved for this program, Holland TMS will pay you an advance up to 40% of the total negotiated rate via EFS electronic check for a small fee. For a nominal fee, Holland TMS can offer trailers for certain lanes. You must be approved for this program and you must sign an Interline Agreement. Holland TMS needs carriers who deliver on-time. If delays come up (and we know they do), our carriers communicate, communicate, and communicate some more. Holland TMS needs carriers who keep their word and take responsibility for their actions. 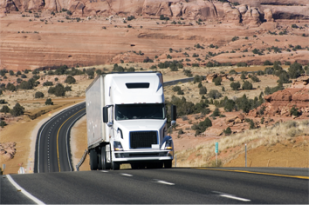 Holland TMS expects its Carriers to operate legally, following all Federal, State, FHWA, and local laws. Equipment should be clean and properly maintained. Holland TMS needs carriers whom we can contact 24/7 and who communicate their status throughout the shipment. Our communication with our customers depends on stable and consistent communication with our carriers.